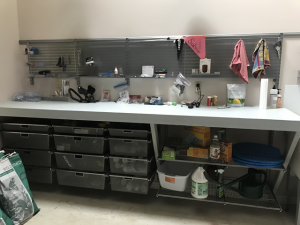 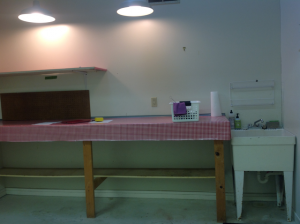 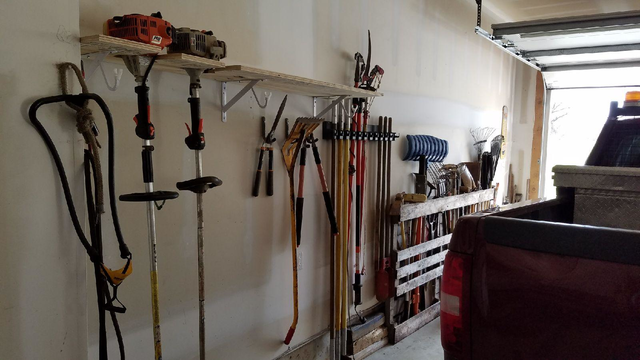 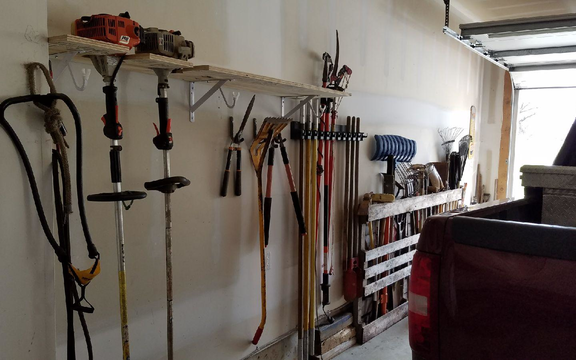 This client wanted to turn a conditioned workroom off her garage into a bike room that would be a storage space for the family’s bicycles and all of the supplies and equipment needed to maintain the bicycles. 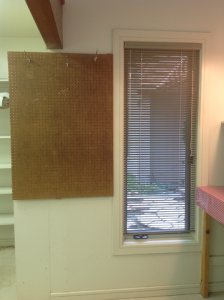 We used the Elfa system. 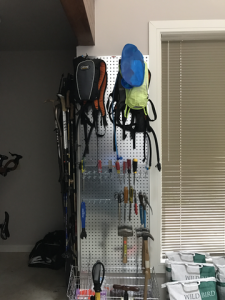 We took a narrow wall that housed outdoor equipment, we extended peg board to the floor and added hooks and baskets for Camelbacks and tools. 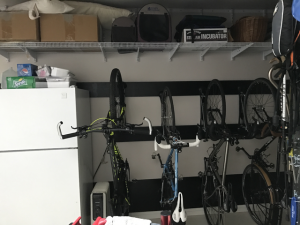 We kept the refrigerator in the same place and added very cool bike hangers so that we could vertically hang the bicycles. 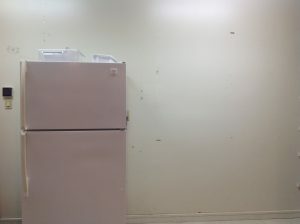 We also had the painter add black stripes on the wall so that the wall would not get marked by the bike tires. We reconfigured the existing work table to the appropriate height so that we could add pull out bins and shelves to hold helmets, water bottles, extra tires, and cleaning supplies.